UBC medical student Maegan Stuart. Access to healthy foods is a common challenge for vulnerable populations in small communities like Kimberley, explains Dr. Ilona Hale, clinical assistant professor with the Southern Medical Program (SMP). Hale, who is also chair of the Healthy Kimberley Society, says people often rely on food banks and other community programs to subsidize their household needs. But food options at those places can be limited. Food banks in smaller communities typically need to balance limited financial resources with a lack of commercial-scale refrigerated space to house fresh produce, she explains. This past spring, SMP student Maegan Stuart reached out to Hale to see how she could help address this problem as part of her training to become a doctor. At the time, Stuart was in Kimberley consulting with potential user groups including the food bank, school lunch programs, churches and seniors’ organizations. Following a similar model of food recovery projects in other small communities in BC and the United Kingdom, Stuart helped kick-start the process of securing suitable storage space, coordinating refrigeration equipment and recruiting volunteers. The final stop was the local Save-On-Foods grocery store where the local manager eagerly offered to donate all of their excess produce, dairy and other perishables. At the end of August, the Healthy Kimberley Society secured a $95,000 grant from the Columbia Basin Trust to hire a part-time coordinator and launch the project in the fall. 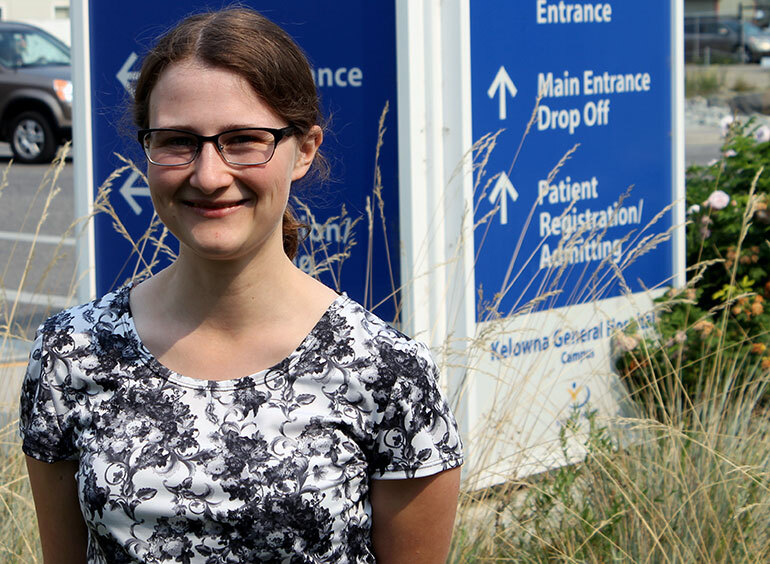 Now into her third year of medical school, Stuart is currently training at Kelowna General Hospital.